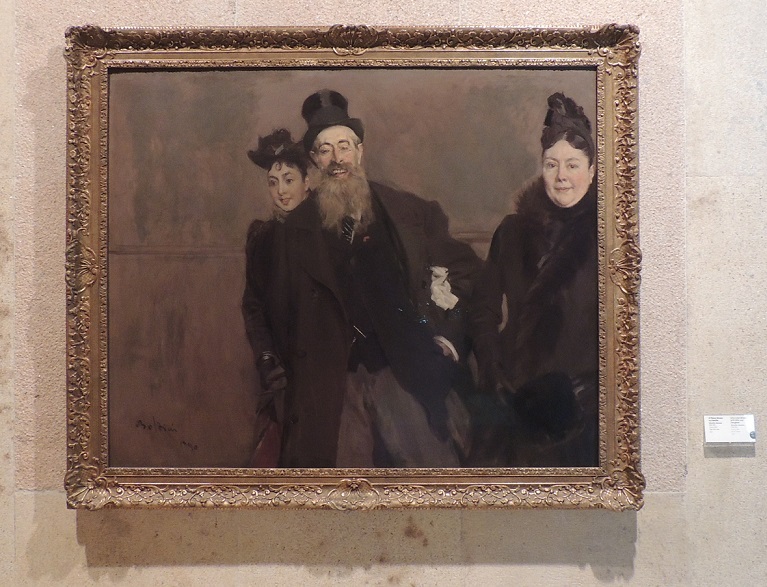 The Gulbenkian Museum in Lisbon is packed with really famous and great paintings but I think my favourite one was this painting entitled “John Lewis Brown with Wife and Daughter” by Giovanni Boldini. Not just because in contrast to the serious, sometimes wintry tones of the other paintings in the museum it is a picture of people lurching around with abandon and having a good old time, not just because it has motion and spontaneity where others feel more static, but because it looks so much like a modern photograph in which the taker has fired off a snap a bit too early and not everyone is fully in the frame. It feels sort of predictive of the future in this way. It made me think of the Great Gatsby for its sense of being not very controlled. It reminded Dad of Toulouse-Lautrec because of its style. It’s an unexpected delight as you come around the corner. You’ll see it by the exit door of the permanent collection. Exit, stage left! Perhaps that’s what the participants are up to.